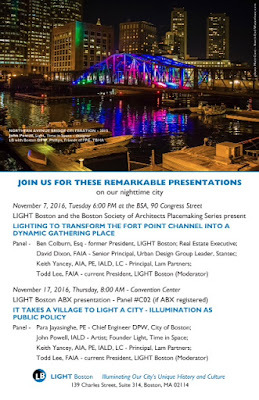 The Boston Society of Architects (BSA) Placemaking Series presents Lighting To Transform The Fort Point Channel Into A Dynamic Destination on November 7, 2016 at 6 pm. Please visit the BSA for details and to register for this free event. 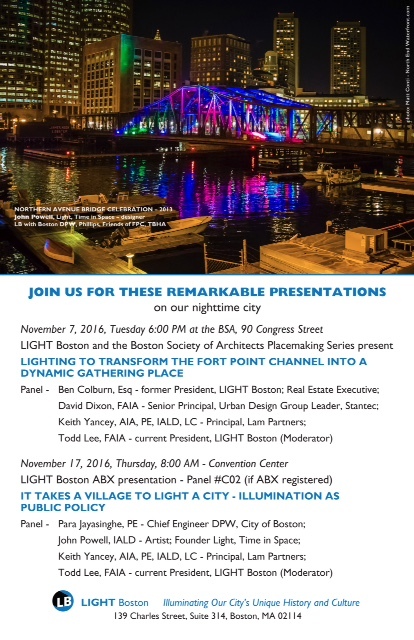 It Takes A Village To Light A City: Illumnination as Public Policy will be presented at the ABX conference November 17, 2016 at 8 am. The Boston Planning and Development Agency (fka BRA) announced that the Congress Street Bridge Lighting RFP will be reissued on November 2nd at 9 am. The BDPA is in conjunction with the Fort Point Channel Operations Board are seeking services of a consultant or consultant team with demonstrated excellence in integrating lighting design in urban environments to design the lighting plan. The budget for the design and implementation of a lighting plan is $470,000. A site visit is planned for Wednesday, November 9 at 10:30 am at Boston Tea Party Ships & Museum. 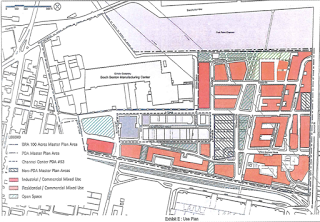 Questions regarding the RFP can be directed to Erikk Hokenson, Project Manager, at 617.918.4267 or via email.